Whether you're an early-riser or a late-sleeper, you'll enjoy breakfast in Boulder. Below are some spots that visitors (and locals) love. In the past 10 years, many breakfast spots in Boulder have come and gone. But Snooze (which also has locations in Denver) landed and blossomed. Pineapple upside-down pancakes, multiple versions of Eggs Benedict, and organic Guatamalan coffee has vaulted Snooze to the top breakfast spot in Boulder. Only Lucille's, below, has comparable crowds. There is usually a wait for a table. If you're craving southern creole food in Boulder, Lucile's is the place to go. A popular local spot, lines for a table at Lucile's can spill out the door. However, you'll probably find that the wait is worth it. Fresh-baked biscuits, homemade jams, New Orleans beignets, and cajun omelets are some of the specialties. Great coffee and a cozy Victorian home setting help make Lucile's one of Boulder's best comfort breakfast spots. Boulder's beloved greasy spoons. Dot's two locations are classic low-brow diners — think Route 66 fare with an organic spin. The coffee gets rave reviews, as do the biscuits, breakfast burritos, and huevos rancheros. It's not fancy, but breakfast at Dot's will feed you well. A meal at Dushanbe is more about atmosphere than food. 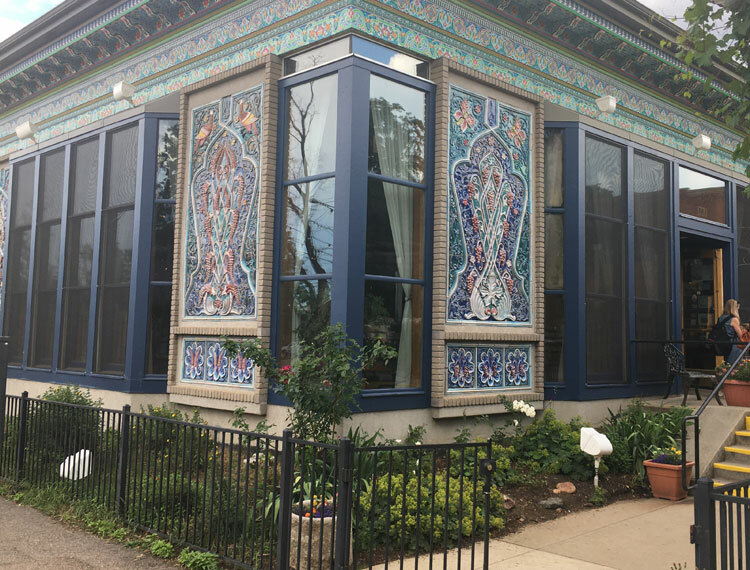 The tea house, a gift to Boulder from its sister city in Tajikistan, is an elegant and lovely place to eat. Breakfast is standard fare; weekend brunch is more sophisticated. But it's the tea house itself that charms. The carved ceiling and columns were crafted by Tajikistan artists. The creekside patio is a tranquil mid-city escape. Try a selection from the world-spanning tea menu when you're there.